The biggest hits on the Great White Way are headed to Baltimore as part of the just-announced CareFirst Hippodrome Broadway Series 2019-2020 season! 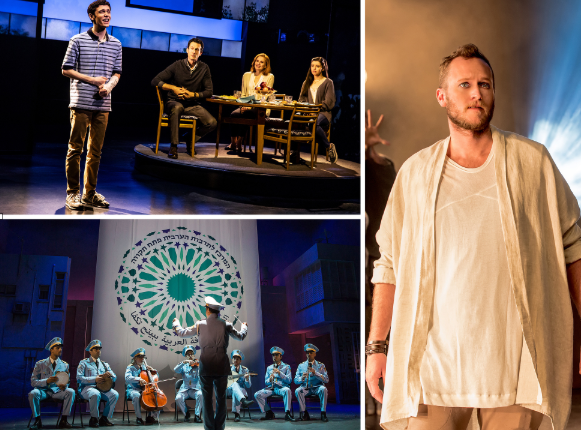 Broadway blockbusters Dear Evan Hansen, Jesus Christ Superstar and The Band’s Visit will be part of the upcoming season. The series will also include The Phantom of the Opera, Disney’s Aladdin, Cats, Wicked, Summer: The Donna Summer Musical and Miss Saigon. Cameron Mackintosh’s spectacular new production of Andrew Lloyd Webber’s The Phantom of the Opera returns! Critics are raving that this breathtaking production is “bigger and better than ever before” and features a brilliant new scenic design by Paul Brown, Tony Award-winning original costume design by Maria Björnson, lighting design by Tony Award winner Paule Constable, new choreography by Scott Ambler and new staging by director Laurence Connor. The production, overseen by Matthew Bourne and Cameron Mackintosh, boasts many exciting special effects including the show’s legendary chandelier. The beloved story and thrilling score—with songs like “Music of the Night,” “All I Ask Of You” and “Masquerade”—will be performed by a cast and orchestra of 52, making this Phantom one of the largest productions now on tour. Winner of 10 Tony Awards, including Best Musical! Spend an evening in the company of unforgettable strangers at The Band’s Visit—now one of the most celebrated musicals ever. It rejoices in the way music brings us to life, brings us to laughter, brings us to tears, and ultimately, brings us together. In an Israeli desert town where every day feels the same, something different is suddenly in the air. Dina, the local café owner, had long resigned her desires for romance to daydreaming about exotic films and music from her youth. When a band of Egyptian musicians shows up lost at her café, she and her fellow locals take them in for the night. Under the spell of the night sky, their lives intertwine in unexpected ways, and this once sleepy town begins to wake up. The Band’s Visit features music and lyrics by Tony Award and Drama Desk Award winner David Yazbek, and a book by Tony Award winner Itamar Moses. It is based on the screenplay by Eran Kolirin, and is directed by Tony Award winner David Cromer.